Tuukka Rask had one mission Saturday night against the New York Rangers; win. However, that did not go to plan. 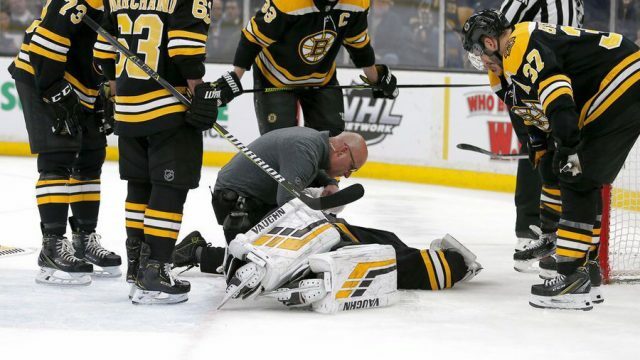 Rask, who is tied for the franchise record for wins, had to leave the game midway through the first period after suffering a concussion due to a collision with Rangers’ forward Filip Chytil. Filip Chytil collides with Tuukka Rask in the crease. Thankfully for Rask, he will have nine days to rest as the Bruins have their bye-week this week.